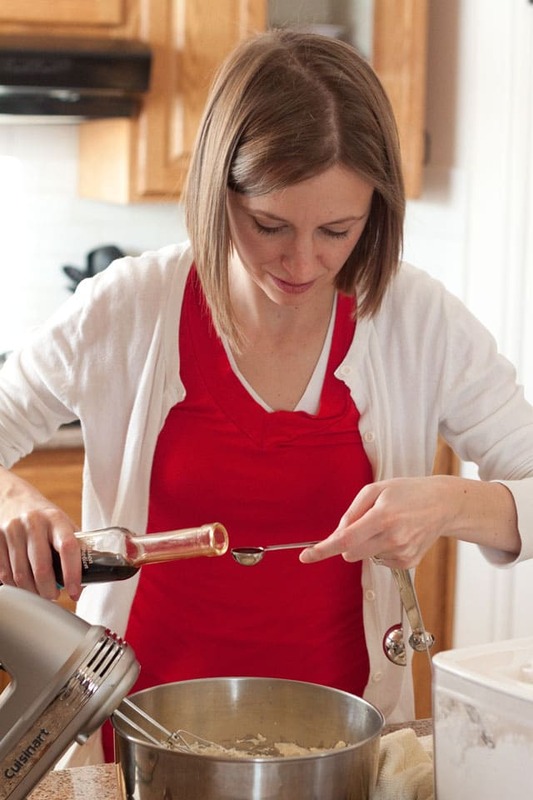 Today I’m sharing my favorite baking tips for layer cakes. 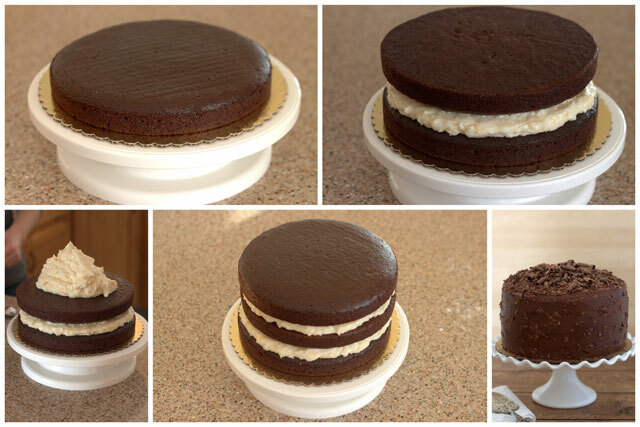 If you’re new to baking layer cakes, or even if you’ve been making them for a while, I think you’ll find a tip or two that can make baking layer cakes easier. I’ve made several fun cakes for my grandsons’ birthdays over the last few years. During those years, my beautiful daughter’s become a very good baker. So I decided it was time to turn the cake baking duties over to her. But before I did, she wanted to know my tips and tricks for baking layer cakes. Those things I just do automatically without thinking about it. Things that aren’t in the recipe. She wrote up the questions and I answered them while we made the cake layers together; then she took the layers home and decorated the cake. She then emailed me the questions and answers so I could do a post. 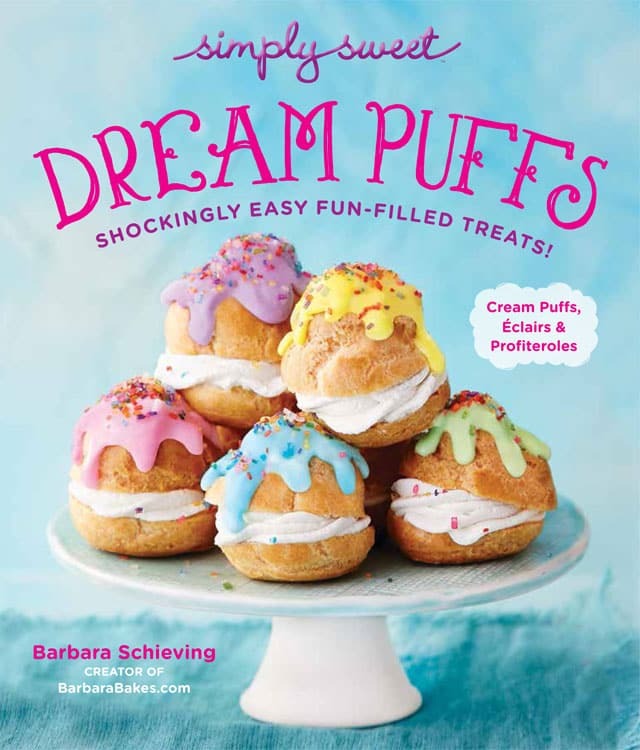 Then she’d have easy access to them for future reference, and I could share the tips with my Barbara Bakes readers. 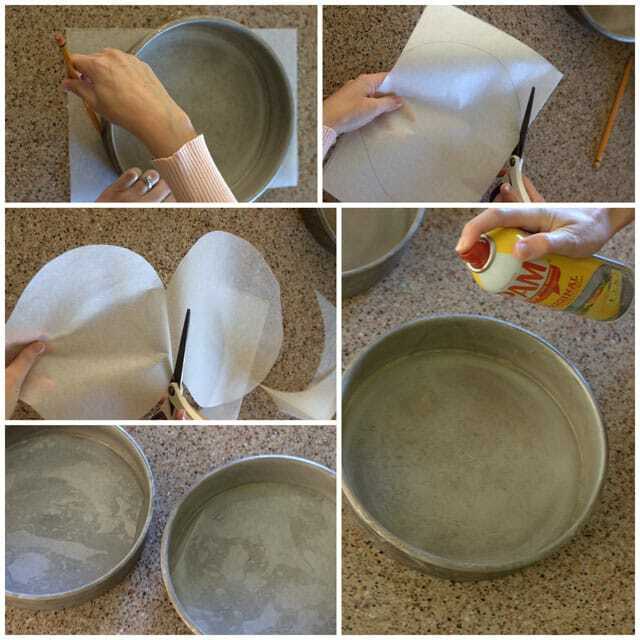 Before baking, use the pans to trace a circle onto the parchment paper, then cut the parchment so that the circles will fit in the pan. Spray the bottom and sides of the pan with nonstick spray, then put the parchment inside. Have your ingredients at room temperature. 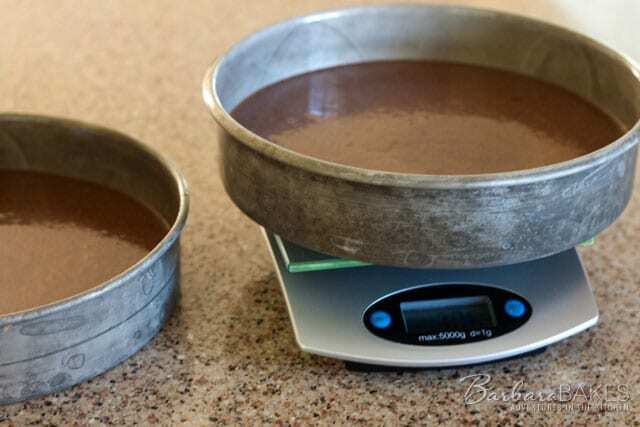 To get even layers, I weigh the batter on my digital scale. How do I know when my cake is done? The cake is done when it begins to pull away from the sides of the pan, and when you gently touch the middle of the cake, it should feel firm but bounce back. To avoid overcooking your cake, stay in the kitchen while your cake’s baking. With practice, you can actually smell when your cakes are done baking. Any tips for taking them out of the pan? When you take the cake layers out of the oven, let them cool on a wire rack for about 10 minutes. The cake has probably already pulled away from the edges, but just in case it hasn’t, loosen the edges with a butter knife or a thin spatula. 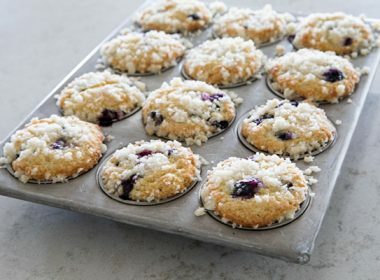 Place a cooling rack upside down on the top of the cake pan, then use two hot pads to grab the sides of the cake pan and the cooling rack at the same time, and in a smooth motion flip them upside down. The cake should fall onto the cooling rack. 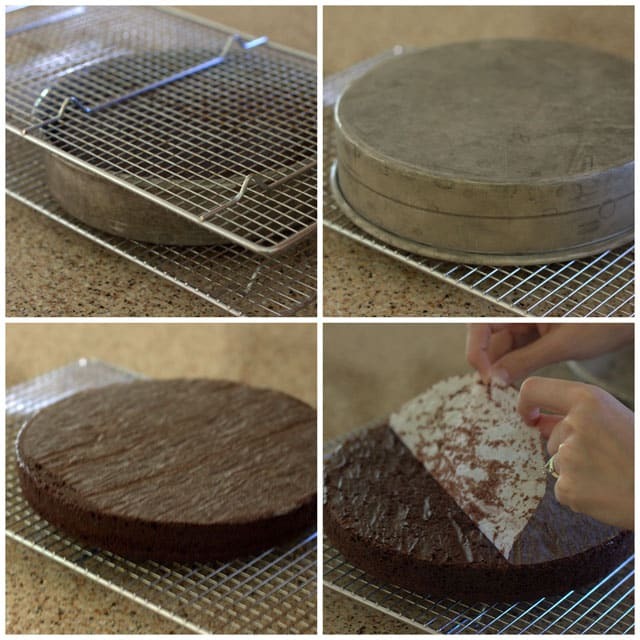 If the cake layer doesn’t fall on to the rack, flip the entire thing back over and use your thin spatula to gently lift the areas where it seems to be stuck. The cake will be upside down. Peel the parchment paper off, then put another cooling rack on top of the upside-down cake, then gently flip it over. How early can I make the cakes in advance? I recommend freezing your cakes before decorating them. They’re firmer and easier to work with. As a bonus, if you choose to freeze them, you can make them up to two or three weeks in advance. If I bake them at night after the kids are in bed, do I just cover them with a towel while they cool and then take care of them in the morning? You’ll get the best results if you stay up until they’ve cooled. Cakes cool pretty quickly—it should be cool within an hour. Do I freeze or refrigerate the cakes after I’m done baking? You cool it completely on the rack. I like to put the parchment round I peeled off back on the cake and then flip it back over so the cake doesn’t stick to the wire rack. Then freeze uncovered on the wire rack. Once the cakes are frozen solid, remove from the freezer and wrap tightly in plastic wrap. How long do I need to thaw the layers before working with them? You actually don’t need to thaw the layers before you work with them—the cake will thaw really quickly and they’ll be easier to work with while frozen. I know you use a little thing under the cake while you frost it—what is that called? It’s called a cake round. I don’t always use them unless I’m going to have to transport it in a cake box to another location. You can buy them at a kitchen supply store, or I’ve even seen some in the baking section at Walmart. If you’re not transporting it, I like to place the cake on my cake stand with six little strips of parchment tucked under the edges of the bottom layer on the cake stand to catch any frosting that may drip down and keep the stand clean. Remove these papers once you’re done frosting. You can use a thin spatula to keep the frosting from pulling away when you remove the papers. 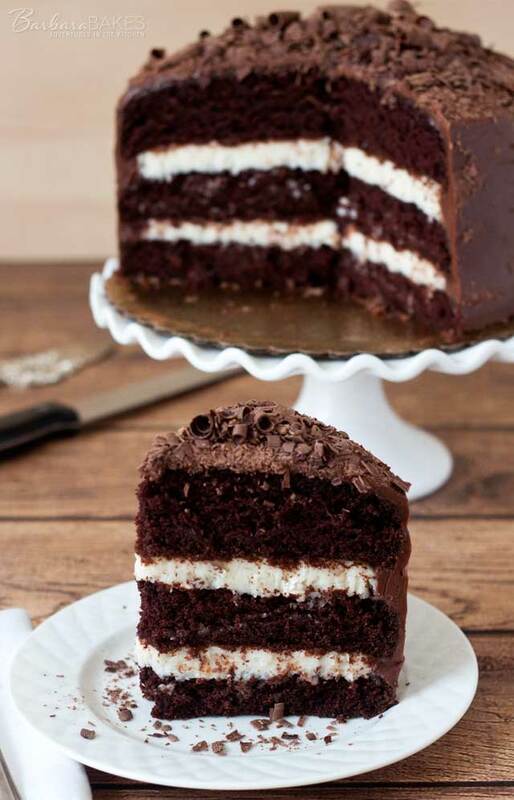 How do I place the middle layer of cream cheese/frosting on so that it doesn’t ooze out from the sides when the top is put on? Your filling has to be thick enough so that it doesn’t ooze. Spread the frosting almost to the edge, then place the layer on the cake and very gently press on the layer to push the filling just to the edge of the cake. 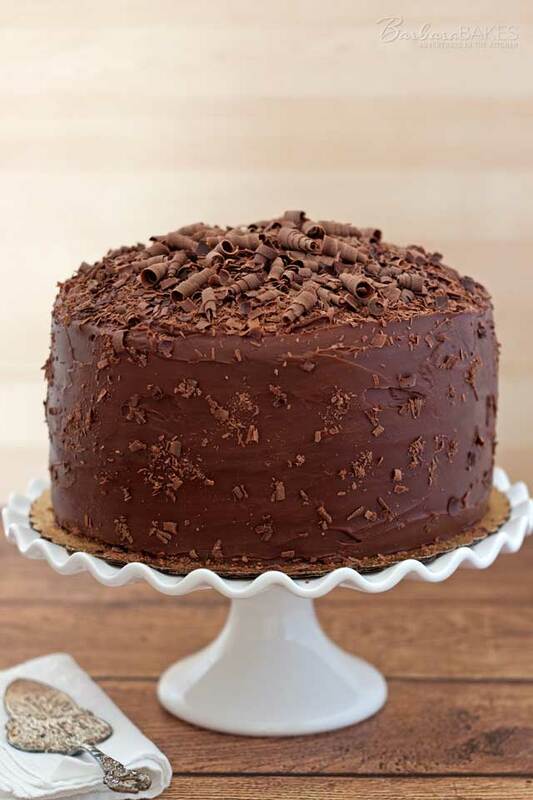 If any does go beyond the edges of the cake, use a dry spatula to remove the excess or push the filling where it belongs. How do I get the top layer on top of the cake without breaking it in half? Freezing it helps. 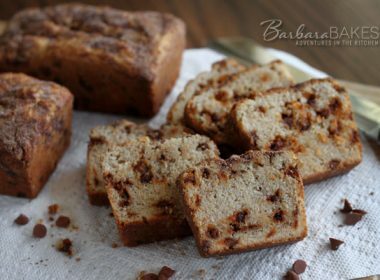 If you don’t have time to freeze it, you can use a spatula to lift a tender cake. Most cakes will hold up to being moved just fine. How do I frost it so it’s smooth on the outside? First, do a quick, thin layer of frosting to lock in the crumbs. This crumb layer will give you a smooth clean surface to work from. 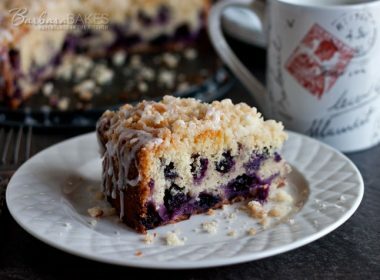 After you frost the crumb layer, place the cake in the fridge for 30 minutes or until the frosting is set to the touch. (The frosting will look like it has a hard coating on it.) Then remove from the fridge and quickly frost. Start on the top and place a big blob of frosting on top, then gently push the frosting in a circle in one direction, smoothing the frosting as you go. Don’t frost back and forth. Then place more frosting on and gently push the frosting over the sides. Work with a clean spatula—every so often, use a paper towel to wipe off the spatula. I prefer to use an offset spatula and a revolving cake stand to make this process a little easier. What tips do you have for decorating it so the decorations stick to the frosting? What can I do if the frosting starts to dry before I finish decorating? You have to do it while the frosting’s still wet. As you’re decorating, you can usually wipe away a little frosting to make it sticky again. What should I do with the cake once it’s done—do I leave it on the counter, or do I try to put it back in the refrigerator? It depends on your filling. 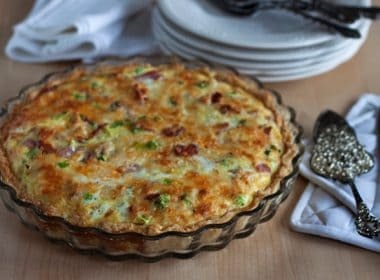 If you have a filling that needs to be refrigerated (cream cheese fillings, pudding fillings with eggs in the ingredients), then it needs to go back in the fridge until about 30 minutes before you serve. Otherwise it’s fine to sit out on the counter, covered with a cake dome. Any tips for actually cutting the cake?? Always clean your cake knife between cuts. Warm the knife up under warm water, dry, cut, then rinse your knife again in the warm water, dry, and cut again. Hi, I have a question. 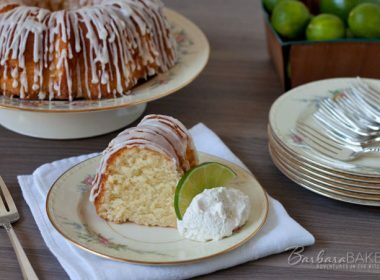 Would freezing and then thawing the cake alter its texture in any way? Because I’m going to try and bake a cake for my brother’s birthday (my first time baking a layer cake- send help!) in a few days and I don’t have much time to experiment with different techniques. Hi Meghana – no, freezing and thawing doesn’t change the texture of the cake. 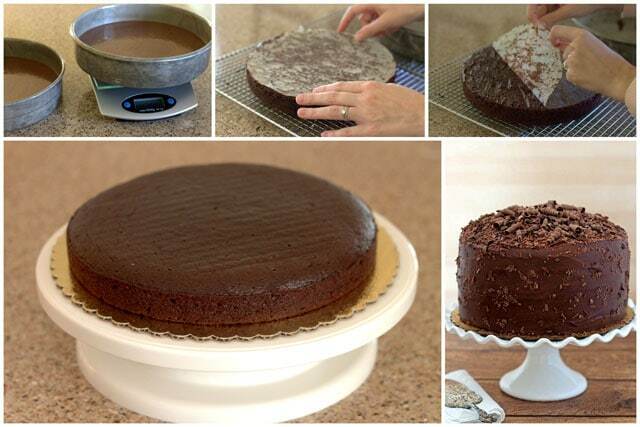 It’s a great way to make baking a layer cake easier because you split up the work into several days. I’m sure you’ll do great! Wow. These are really great and useful tips. I am so glad I found your post as I will be making a layer cake for my daughter’s birthday tomorrow. I especially found weighing the cake batter to be a great nifty tip as I was worried about getting even layers. Thanks a lot and keep up the great work. I would like to know what to do when you have 3 layers of cake…you start putting icing on and the layers 2 and 3 start slipping and sliding. What can I do for it to come out being a pretty cake instead of a lopsided one. 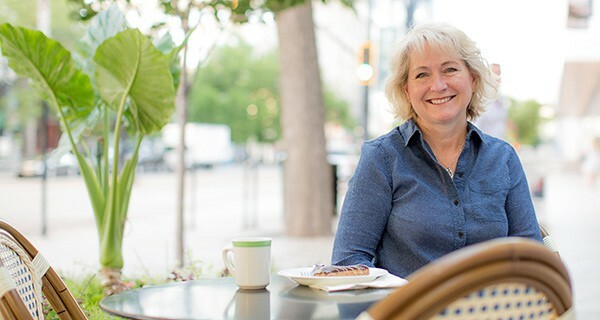 Hi Denise – sounds like you need to thicken up the icing between the layers or use less icing between the layers. You can add more powdered sugar to the icing. You can put the iced layers in the fridge to firm up before icing the outside so you can adjust the layers and they won’t move around. On wedding cakes they’ll use dowels to secure the layers, but on a typically 2 or 3 layer that shouldn’t be necessary. It is possible that as the cake tried to rise, the paper caused a problem. Try it without the paper on the sides and see if you get a better result. Made this cake, lined the base of cake tin and around the sides with baking paper, can you tell me why did cake come out with uneven sides, almost wavey. I did line sides one inch above cake tin. Thanks for your help. Are your oven racks even, or the pan dented perhaps?